﻿ TV Trends Web Review: Is Non-linear TV the new normal? 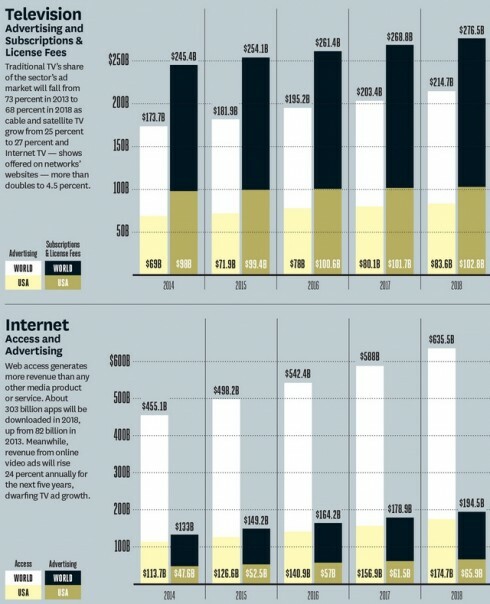 You are at:Home»Digital»TV Trends Web Review: Is Non-linear TV the new normal? TV Trends Web Review: Is Non-linear TV the new normal? Where is linear TV headed, in the midst of an ever-increasing number of screens, OTT devices and ways to watch shows? Not to mention the proliferation of quality content on more and more channels? A quick look at the current media landscape should alarm any “traditional” TV executive: Gigaom reports that 47% of all US households now subscribe to Netflix, Hulu Plus, Amazon Prime or a combination of these services. More than a revolution threatening incumbent players, this impressive shift in TV consumption also means that we rely less and less on physical devices to store content. According to The Guardian, digital home video revenue – i.e. streams and downloads – “will outstrip physical media in 2016”. Not to mention the fact that TV’s major revenue source – advertising – will become the internet’s major revenue source within seven years, The Hollywood Reporter analyses, quoting PricewaterhouseCoopers’ (PwC) annual Outlook (see forecasts in chart below). As they face such tremendous changes, there is no doubt that TV producers and broadcasters will have to strengthen their online presence. But who could have predicted 3 years ago that the quest for connected devices and original online content would turn into a merciless gold rush? And the battle of smart TVs has just begun, judging by the endless series of annoucements: Gigaom reports that even Dish will soon join the race with a new internet-based TV service targeting cord-cutters. So what does this mean is next? Perhaps it’s time to look to the millenials again… The Wrap quotes analyst Mary Meeker’s annual Internet Trends report, stressing the fact that young people still “watch more TV live than online” in the US. That said, Meeker notes that the millenials’ revolution will come from “overseas, where a growing number of people are using smartphones and tablets, especially in the world’s largest countries (like China, Brazil and Indonesia)”. Meanwhile in France, TV watchdog the CSA revealed that 15-24 years old now spend more time consulting their smartphones than TV (26% vs 20%… article in French here).